Great show! However, it should state on the voucher where to pick up show tickets. Saw a similar show on broadway. These guys were just as good. Loved the show! IT WAS EVERYTHING ONE COULD HOPE FOR IN A TRIBUTE. AUTHENTIC, EXCITING AND WELL WORTH THE PRICE. THE RESTAURANT PAMPAS ALSO WAS EXCELLENT. This show was fantastic. 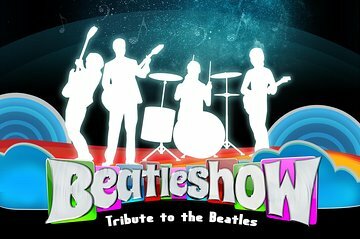 The four actor/musicians doing the Beatle roles are great musicians as well as excellent singers and engaging entertainers. The other cast members were superb as well especially the fellow that had the triple roles of Ed Sullivan, Austin Powers and the hippie. We had a great time at this show and recommend it highly. We would like to go again next time we're in Vegas.